I’m an optimist. 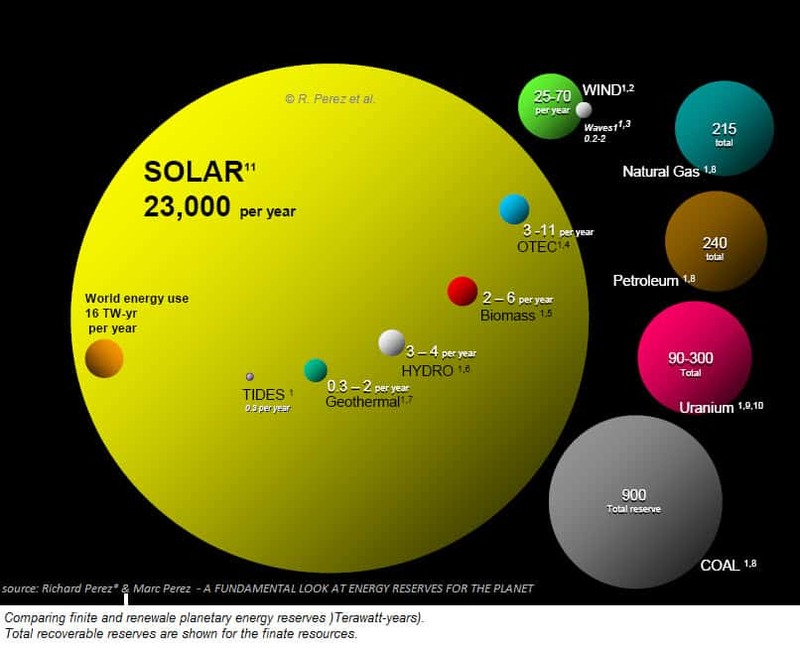 I look at the calculations for how much renewable energy from solar hits the planet each day, add the other renewables (a fraction of solar) and see nothing but growth opportunities and huge growth. The renewables detractors will tell you that there are political, economic, competition and educational constraints. I don’t argue with any of these issues. I do counter with one simple fact. The issues are human. The resources and the technology will solve the issues with the help a lot of humans already convinced that each issue is solvable. I heard again today how small the market share for renewable is right now. It’s growing very fast, but still in the single digits. There is a real limit to getting solar energy when the sun isn’t shining. It’s just not there. You have to store it or loose it. Fortunately, there are solutions. Batteries, conversion to kinetic energy and even molten salt can store electricity well enough to keep the lights on at night. And there are the obvious alternatives available. Buckminster Fuller showed us how to connect the entire planet, providing a connection to electricity to anyone. He created this map in 1961. Technology has advanced, political and commercial arguments remain. The technology is going to overcome this interference soon enough. We’ll have a way to use solar power from any spot on the globe, plus any other renewable energy. Looking at cost reductions available in many areas, it’s just a matter of time until we get free, or near free electrical power to everyone. And with electricity, other world problems like poverty, water availability, pollution abatement and even global warming can be solved. I don’t know the engineering well enough to explain how nuclear, oil, gas and coal can fit into the picture. What I do know is how humans have a tendency to see things as a dichotomy with only one right and one wrong answer. It’s not “coal or no coal” or “solar or no solar.” There are many innovations and plans in the pipeline. Some of them will work, some not. Nothing will make us choose a limited supply. We could ban dirty energy but first I think we need to know there is an alternative that takes its place. Instead of mandating that all coal be gone to force conversion, I’d favor promoting the alternatives. There are so many in the pipeline. The world market for electricity will double soon. Let’s keep an open mind and share the best ideas for a clean, sustainable, energy rich future.